She is a 5 year old girl. She is a silent brilliant girl. Her parents are young parents but very responsible. 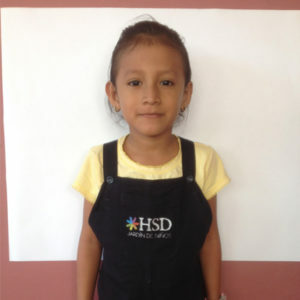 Her mom continues to study to get her high school diploma. Her father is a special force police. Her mom is a volunteer for cooking meals at the school.